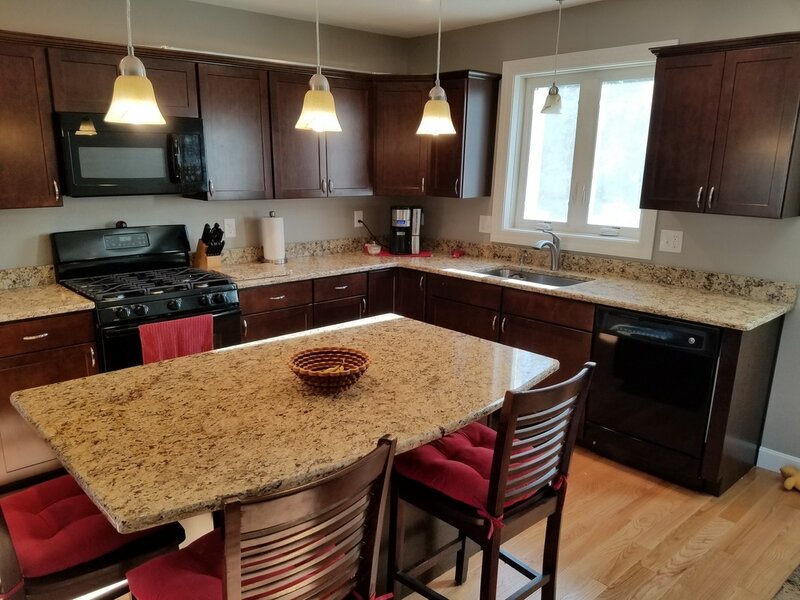 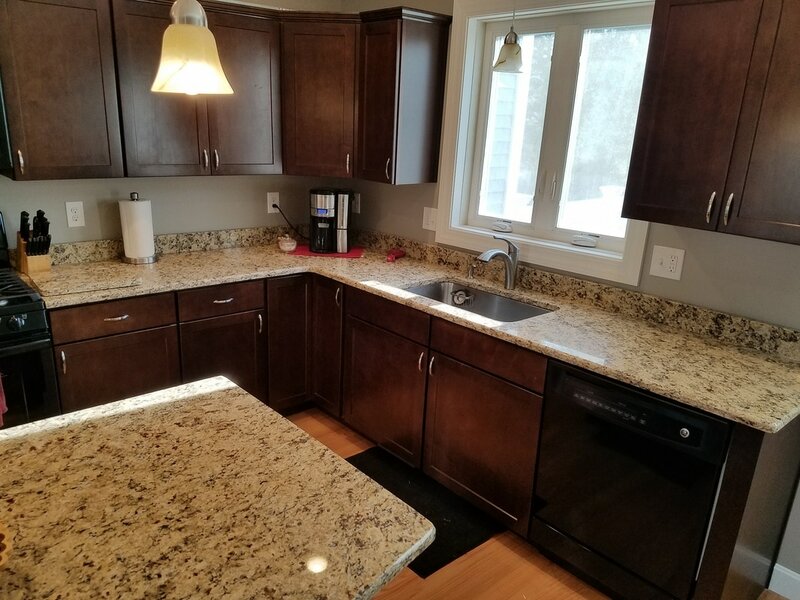 Here is a kitchen that we completed in the Central Mass area using the material Oura Brasil. 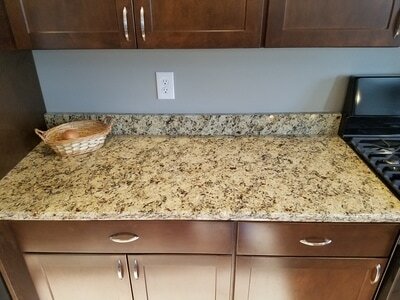 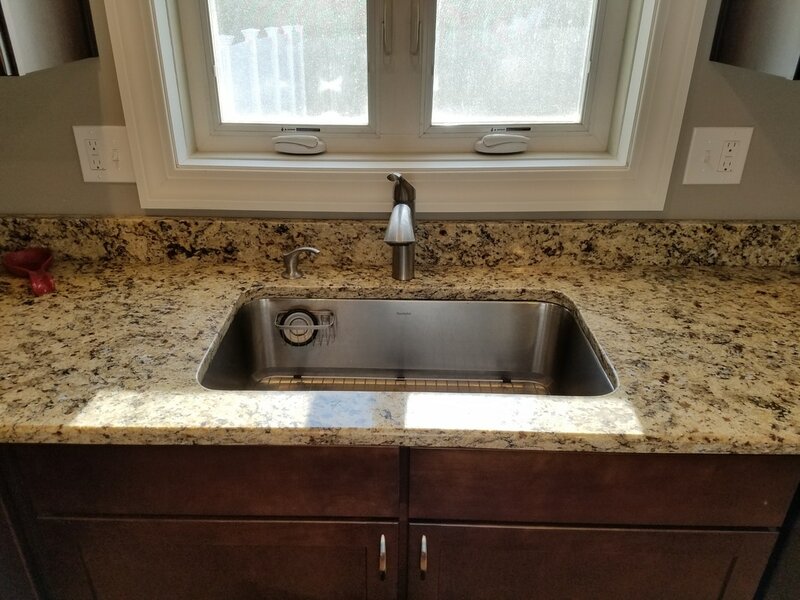 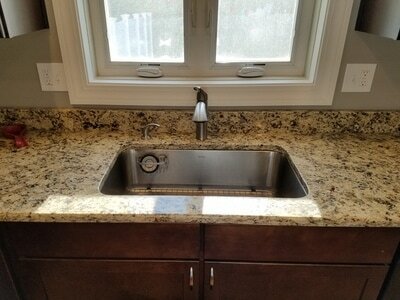 This is a stunning stone we installed in a newly remodeled kitchen. This stone is very reasonably priced. 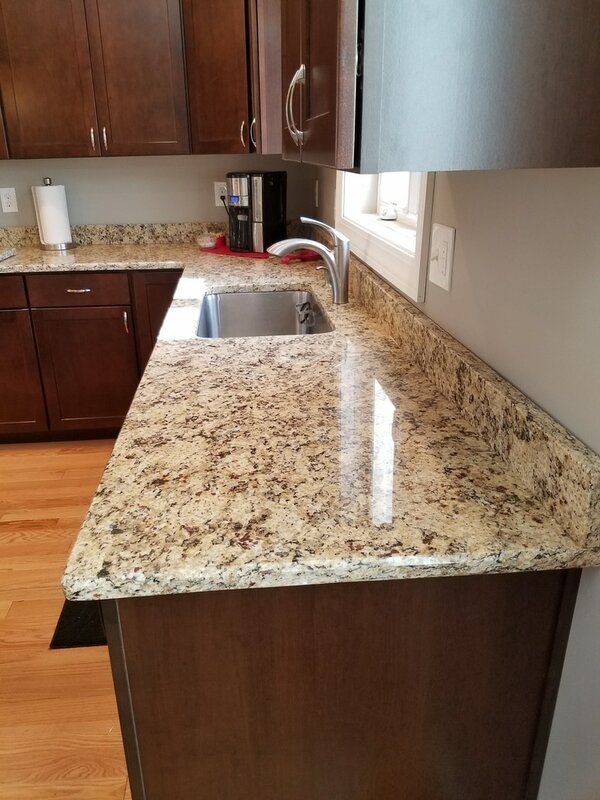 It is also a great alternative to the 'commercial' colored stones as it is not as easily available and has a significant amount of character to it.